VIZ Media, the distributor of the Legend of Zelda manga, have recently announced the Legend of Zelda Manga Box Set. The box set carries an MSRP of $69.99 U.S. / $80.99 CAN and will feature all 10 volumes of the manga. This includes Ocarina of Time, Oracle of Seasons, Four Swords, and Phantom Hourglass as well as others. Check out the full press release below. San Francisco, CA, October 26, 2011 – VIZ Media, LLC (VIZ Media), the largest distributor and licensor of anime and manga in North America, will delight gamers and manga (graphic novel) fans nationwide with the release of THE LEGEND OF ZELDA Manga Box Set, just in time to celebrate the series' 25th Anniversary. The set, available in stores now, is rated 'A' for All Ages, includes all 10 volumes of the fantasy action adventure series as well as a full color poster, and carries an MSRP of $69.99 U.S. / $80.99 CAN. "THE LEGEND OF ZELDA Manga Box Set bundles Link's entire magical quest into a single collection that is a must-read for any true fan of the classic video game," says Beth Kawasaki, Senior Editorial Director, Children's Publishing. "The series wonderfully transforms the game's fast-paced action into a linear storyline, and has been a consistent bestseller since VIZ Media published the first volume in 2008. This new box set is an eye-catching way to revisit the entire series and commemorate the 25th Anniversary of this groundbreaking game title." THE LEGEND OF ZELDA manga series was created by Akira Himekawa, which is the pen name of two women known simply as A. Honda and S. Nagano. 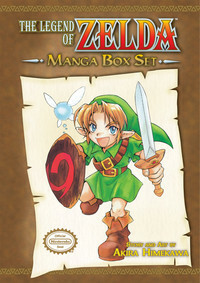 The pair have created nine manga adventures featuring Link and the popular video game world of THE LEGEND OF ZELDA, including Ocarina of Time, Oracle of Seasons and FOUR SWORDS. 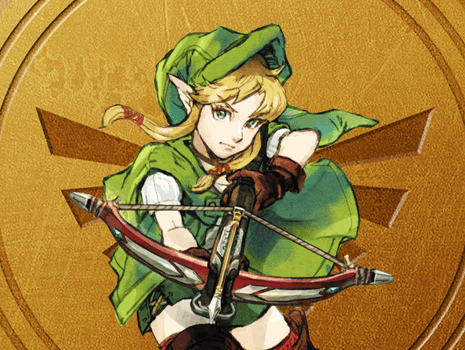 Their most recent work, The Legend of Zelda: Phantom Hourglass, was serialized in Japan in the kid's magazine Shogaku Rokunensei, published by Shogakukan.